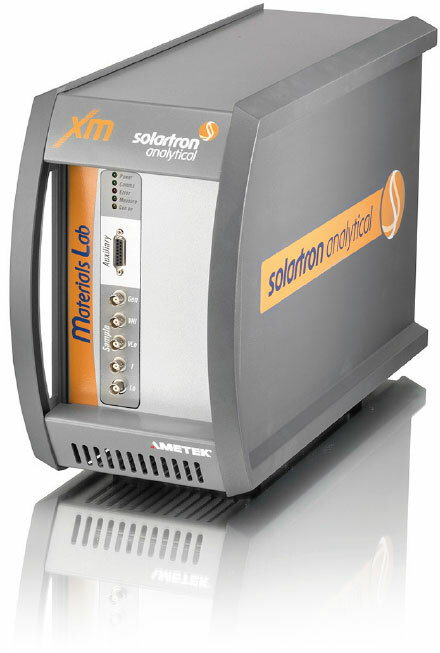 Materials XM is part of Solartron Analytical’s new Apps-XM range, a series of testing systems designed for specific applications. Materials Lab XM is fully integrated, reference-grade time domain and AC measurement system. 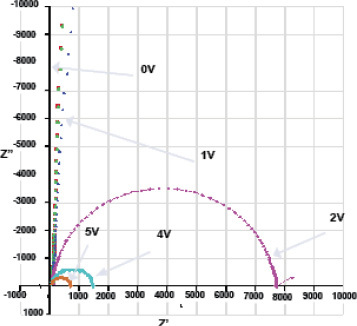 Time domain measurements include I-V (current voltage) characterisation as well as fast pulse techniques. 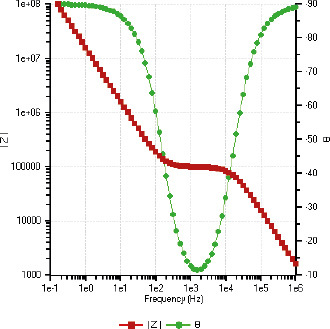 AC testing techniques range from single-sine analysis to multi-sine / Fast Fourier Transform for fast low frequency analysis, to harmonics and intermodulation for testing linearity and breakdown of materials. You can also perform electrical impedance spectroscopy (EIS), admittance, permittivity and capacitance, together with integrated equivalent circuit analysis functionality. Time domain and AC tests can be combined in test sequences, so DC and pulse waveforms can activate charge carriers, followed immediately by EIS analysis of the carriers. This functionality is unique to the Materials Lab XM. Synchronised measurements from optical, mechanical displacement or other types of transducers can also be integrated, via an auxiliary measurement port. This expands the choice of measurements further. Temperature testing is also fully integrated in the software, with a range of temperature controllers that can be combined with cryostats and high temperature furnace systems. Furnaces and high temperature sample holders enable solid oxide / ionic conductor material testing at temperatures up to 1200 °C. Cryostats can be used to lower the sample time-constants into the equipment’s frequency range, or to investigate low temperature phenomena such as carrier trap states. An OLED is a light emitting diode with an organic emissive electro-luminescent layer. They do not require backlighting, resulting in thinner, lighter displays with reduced power consumption. However, the lifetime and stability of the organic materials still needs improvement. Electrical characterisation can be used to test their stability and to understand the mechanisms and processes that contribute to the efficacy of these devices. Cole-Cole (Nyquist) plot of the OLED operated under different DC bias voltages. Dielectric materials are non-conductors of electricity (electrical insulators) that can be highly polarised by an electrical field (ie the material’s dielectric constant). Charges within dielectric materials can be displaced from their equilibrium by an electric field. When the electric field is removed, the material returns to its original state. The time taken to do this is referred to as the relaxation period. Typical tests involve applying a varying electrical field (AC waveform) and monitoring the relaxation of the material as a function of its permittivity (capacitance and conductance) versus the applied AC frequency. The Materials Lab XM incorporates one of the most versatile Frequency Response Analysers available, and can auto-sequence time domain and AC measurements without switching cables. Materials Lab XM incorporates Solartron’s latest hardware for accurate waveform generation and data acquisition.